Thanks to Mango, the Instagram set are starting the New Year dressed like Virgin Atlantic employees, as the latest piece to take off on the Mango girls hashtag looks like something you'd usually only spot at 39,000 feet. 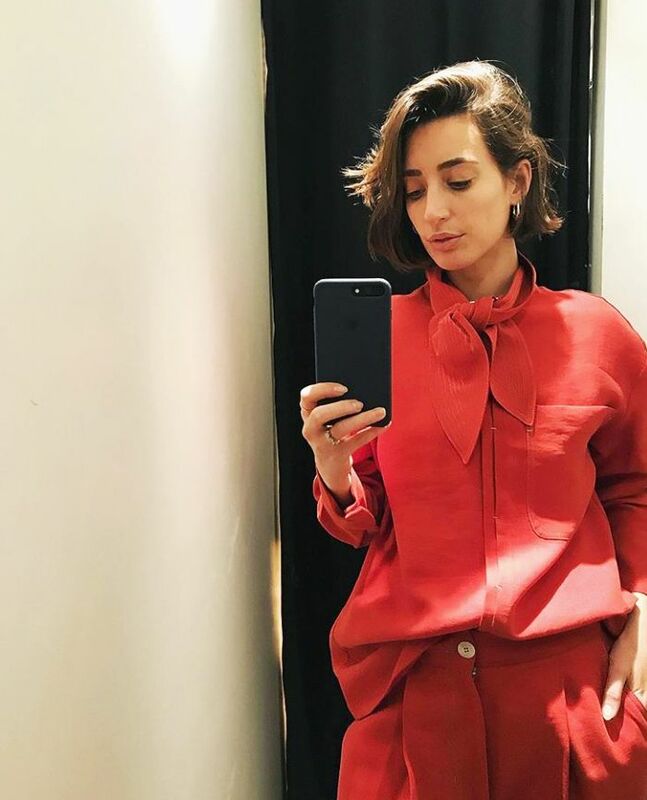 The likes of Laura Jackson and Camille Charrière have been wearing a red Mango shirt with white stitching, a tie at the neck and concealed buttons along the front. And even though it looks a little like an airline uniform, we're totally into it. The Mango girls have either dressed the £50 shirt down with jeans or gone all out cabin-crew and styled it with the matching red trousers. Keep scrolling to see how the Mango girls are wearing the shirt, and shop it below. Next up, see our guide to the biggest S/S 18 fashion trends.